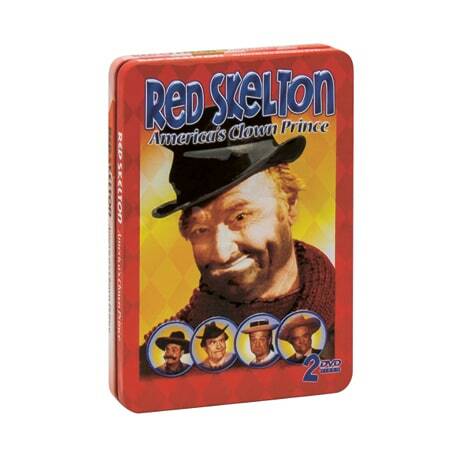 A master of the one-liner, Red Skelton kept his Emmy-winning comedy show high in the ratings throughout its 195171 run, due in part to his gallery of outrageous alter egos, among them Clem Kadiddlehopper, San Fernando Red, and Freddie the Freeloader. The ten episodes from Skelton's show here include "San Fernando in Alaska," "The Iceman Goeth," "Freddie's Romance," "Desert Island," and "Live in San Francisco." The affable comedian also enjoyed a great rapport with his guests, and here we see Jane Russell, Vivian Vance, Don Knotts, Buster Crabbe, Cesar Romero, Rhonda Fleming, Edie Adams, Marilyn Maxwell, and Ed Wynn. Four bonus features are also part of the fun.